Technical aspects are as vital to chimney design, as glamour is to film makers with dancing Sweeps on rooftops – both situations can be very dangerous. The important word is ‘gaseous’. 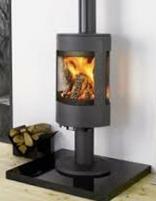 Chimney flues are designed to capture and expel spent combustion gasses safely. Functional to the size of the fire, fuel used, and heat output – is the volume of exhaust gasses to dispel. Irrespective of the phase of the fuel, it and the air/oxygen burnt in the fire will leave the system as a gas or quasi gas. It follows that the flue-way is at least big enough to receive this gas under the natural or designed pressure of the system, to enable its evacuation. Importantly, the flue size must be capable, and in most cases – it is designed correctly. Following from the ‘design’ comments above, if the flue-way reduces in size, as it naturally will with soot building up, there comes a point when this constriction will hamper the system. Under normal, proper operating circumstances, the chimney should be swept regularly, and prior to it reaching this stage. This follows from above, but is a more severe condition of the same thing. It could stem from vermin, birds, or unwanted debris in the flue. Flues also become blocked with creosote or tar, usually a result of poor combustion, and can form quickly, i.e. just a few weeks. This phenomenon is most common when all or a significant proportion of the chimney is shaded, or a cold wind. Sometimes damp can chill chimneys, because evaporation processes extract heat. When not in use, outside metal chimneys including twin-wall systems, are particularly susceptible. The solution is to warm the chimney. Blasting hot air into the chimney with an electric-fire-starter is excellent, but these devices are expensive. Firelighters made with natural low smoking material are good too. You can use newspaper balls, but if your chimney is dirty, it can be too effective, i.e. 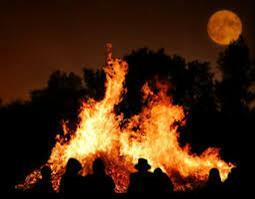 an up-rush of embers might set a dirty chimney alight. (a) Flue gasses (smoke) may be seen, or suspected to be, leaking from the flue. Externally, this is often through gaps in the chimney stack brickwork, i.e. the pointing. Internally, it might be seen or smelt within another room or place within the building, internal conditions are possibly more serious. This is most likely to be a mid-feather, i.e. the internal brick wall within the chimney stack separating the various flues, that has failed. In both these situations a percentage of the smoke has not reached it’s intended terminal. (b) Flue gasses (smoke) do not travel up the chimney, they are sluggish, circulate, and often back-puff into the fireplace. This is because the rupture further up the chimney is allowing an ingress of air that then travels skywards. This situation de-pressurises the flue-way below it, and through the symptoms as outlined, renders it useless. Testing for rupture is usually via a ‘pressure test’. For this, the terminal is temporarily and deliberately capped off. Then a smoke match is lit in the fireplace to test for draught. If there is a draught, then a smoke pellet may be used. 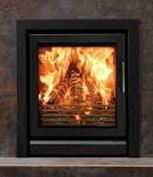 The smoke pellet releases a considerable amount of harmless ‘disco-like’ smoke into the flue, from the fireplace. Careful observation is used to seek out and source any pellet-smoke leaks. Several pellets may need to be set off. (3) Using a flexible steel flue-liner – In recent times, i.e. in the last 30 years, the availability of these liners has made them a common choice for solution. 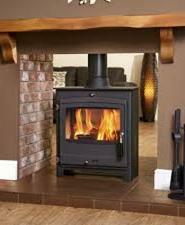 Notably, with the options for such projects, rather than connection to a ‘fireplace smoke gather’ within the chimney, a stove is installed. 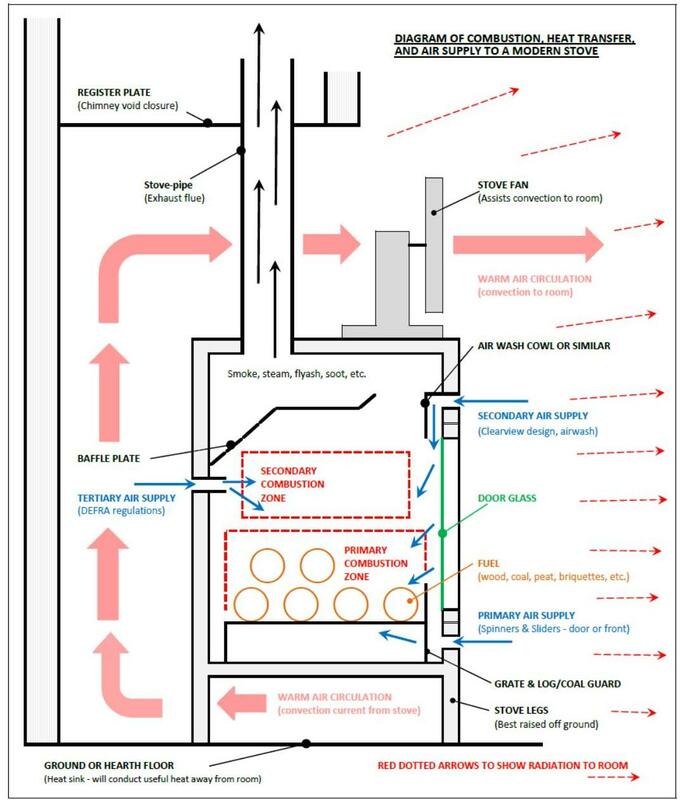 (4) Substituting the chimney with a new chimney system – This is usually a ‘twin wall’ system. This option could be considered when there is a desire to move the fireplace to a different position within the room, and then close off the original chimney. (5) Parging the inside of the chimney – This is with a refractory stucco material. 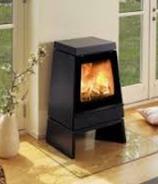 It is normally more expensive than a steel flue liner, but less so than some other options. It strengthens the chimney stack, and is good to restore the chimney for re-use of open fireplaces. If a smooth, round, and sufficient flue-core diameter is achieved – then the performance of this type of chimney is simply fantastic. WINDAGE - Chimneys are very sensitive to wind and atmospheric pressure. If these environmental conditions apply, then downdraught may well occur. Wind conditions differ greatly across and over buildings. When conditions blow, or gust, directly downwards they will cause your fireplace to back-puff. …Contact us soon for yours! The best design features for chimneys to work well are as follows: Chimneys need to be relatively high. Have a flue bore that is sufficient, vertical, straight, round, smooth, and even along its full length, with no ruptures or perforations. They need to capable of becoming relatively ‘warm’, and protected from rain water entry, and ingression from any other solid matter. Chimney terminals must be away from downward air flows, and work in environmental pressure systems that support an internal +ve up-draught. Lastly, facilities for periodical cleaning (sweeping) and maintenance, as necessary, should be suitably provided. 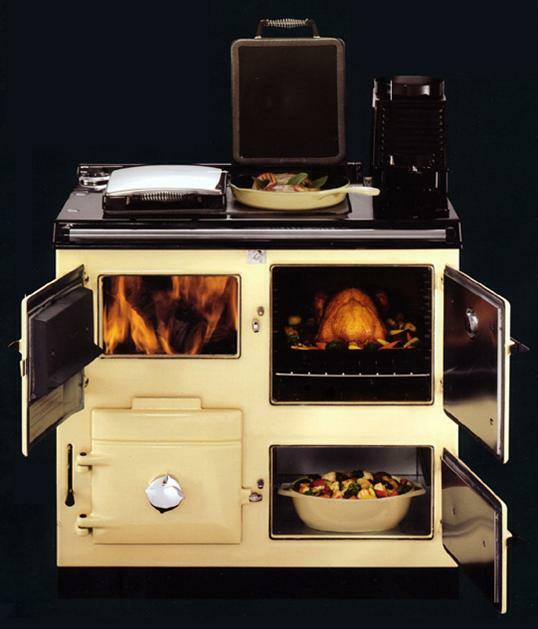 If any components are missing – a fire will not start, or it will go out. However, if all are in sufficient supply, then the chain reaction called combustion or fire, ensues. This continues until at least one of the three key components is depleted. 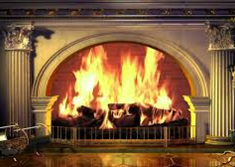 Because solid fuel, as supplied to your fireplace, goes up your chimney as a gas (or quasi gas) it is right to think that matters concerning fireplaces are about gasious exchanges and flows. At the point of combustion, all fuels vapourise to a gaseous form irrespective of their input phase; gas, liquid, or solid. 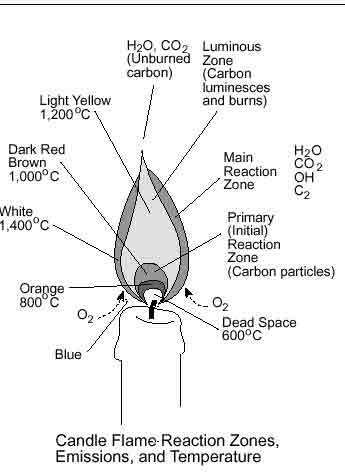 A candle starts as solid wax, melts into a pool which is drawn up the wick via capillary action, to then vapourise and burn producing flame plasma reaching 1,400 OC. 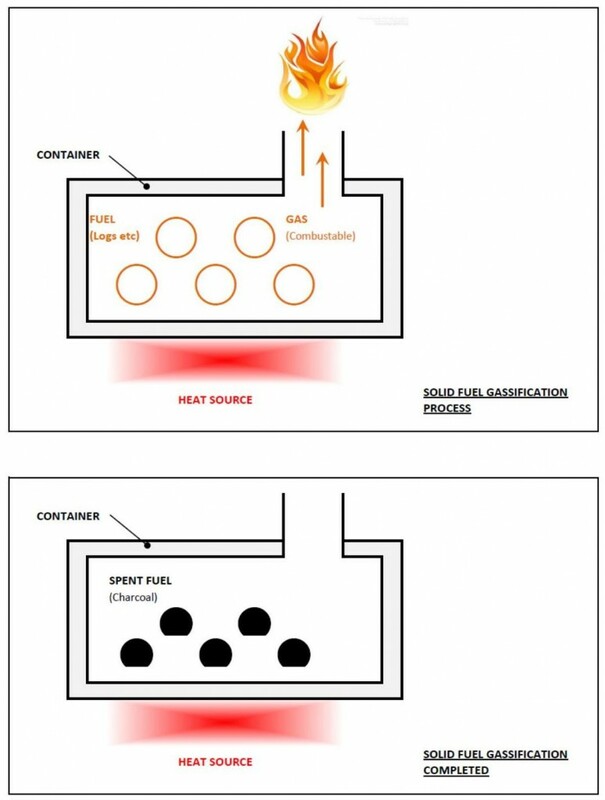 If a solid fuel is heated in a container to a point where it gassifies, this gas can be drawn off and used as a fuel elsewhere, which might be a vehicle engine. On completion of gassification, the spent solid fuel is reduced to charcoal. The fire heating your home requires fuel, the combustible scale and mass of which determine the potential scale of heat output. The ‘rate & degree’ of combustion, is controlled by the level of oxygen in air supplied to the system. (a) Upper limit of energy extraction – maximising oxidisation – of the fireplace or engine will be to release as much energy as within its design capacity. This is the most efficient ‘clean’ working level, where heat/power output is at its highest, and fuel use is optimal, i.e. all gassified fuel is burnt off within the system – none being exhausted to atmosphere – which meets DEFRA approval. (b) Lower limit of energy extraction – maximising carburising – is the oxygen suffocation point, at which the fire will go out. This is an inefficient ‘smoldering‘ operational level, where heat/power output is minimal, and fuel use is poor, i.e. unspent gassified fuel passes out of the system to atmosphere – of which DEFRA disapprove. This is generally bad, and normally the result of oxygen starvation within a carburising combustion condition, sometimes termed as ‘smoldering’. It leads to several key problems, viz. 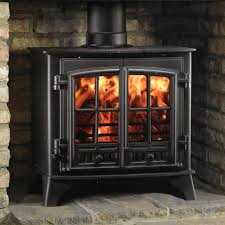 Modern stoves, like modern engines, have become technically sophisticated, allowing them to be far more fuel efficient and environmentally friendly. 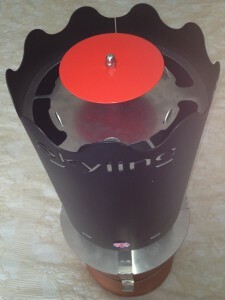 A DERFA ‘rated’ stove allowed in a ‘smokelss zone’, principally accommodates an air supply system that re-ignites and utilizes unspent gassified fuel. Thereby preventing its release to atmosphere, usually via a ‘tertiary’ air supply. 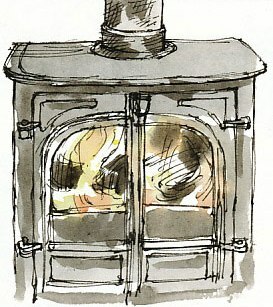 You may have heard proclamations that some stove systems are more efficient because they can ‘re-burn their own smoke’. This is not strictly true. These systems are in fact burning-off unspent gassified fuel (held within their smoke), in a secondary combustion zone within the stove. This is facilitated by the re-introduction of oxygen-in-air (to complete a fire triangle), within this zone, which must be hotter than the flash-point of the unspent fuel gasses. Another incorrect assumption is that the temperature of the oxygen-in-air introduced into this secondary combustion zone needs to elevated. 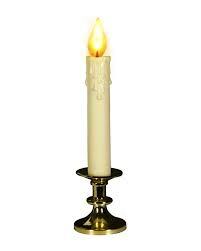 In fact this is irrelevant, what is important is that it is in sufficient quantity so as combustion can complete. However, this zone does need to be above the required flash point of the air/fuel mix. Some diesel engines include inter-cooler devices which chill drawn intake air. This is on the basis that there are more oxygen atoms within the same volume of cold air, because its relative density is higher. Clearly this improves fuel utilization, and increases the engine’s volumetric power potential. 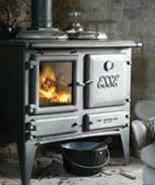 In cold countries it is popular to duct cold air to stoves from outside. Because it helps reduce draughts from outside, and allows any warm air within the house to remain there. This information is to help my customers get the best from their fireplaces and heating systems – in terms of safe efficient use. Further knowledge can be sourced from the author, or expert others. Thank you for visiting our site. Please browse thoroughly; but don't forget to call us when you need us!